Rubraes: Northmost kingdom of Aralon. Being the closest to the world’s major trade routes, Rubraes is somewhat more modern, cultured, and cosmopolitan than the rest of Aralon. Oswana: Oswana is a largely agricultural region, consisting mostly of scattered villages, with relatively few larger settlements. Cethador: The royal line of Cethador believes itself to be the rightful rulers of all Aralon and refuse to acknowledge the sovereignty of any nation that refuses to bend the knee, which is all of them. For this reason Cethador maintains a strong military and actively campaigns against its neighbors. Lustad: Sitting behind Grey Mountains, Lustad is separated from the rest of Aralon and has a more provincial organization. The local barons holds considerable power, and the monarchy is relatively weak. For this reason, the lords of Lustad spend more time fighting among themselves than pursuing outward ambitions. Upon the kings death, the barons elect a new king from their ranks. Pelos: Pelos is a highly militant kingdom, beset on all side by foes. Pelosian knights are renown for their bravery and their order holds great sway withing Pelos. Ashun: Ashun broke of from Vilnus in a succession about 150 years ago. Vilnus still regards Ashun as part of its legal territory and a consistent state of war exists between the two. 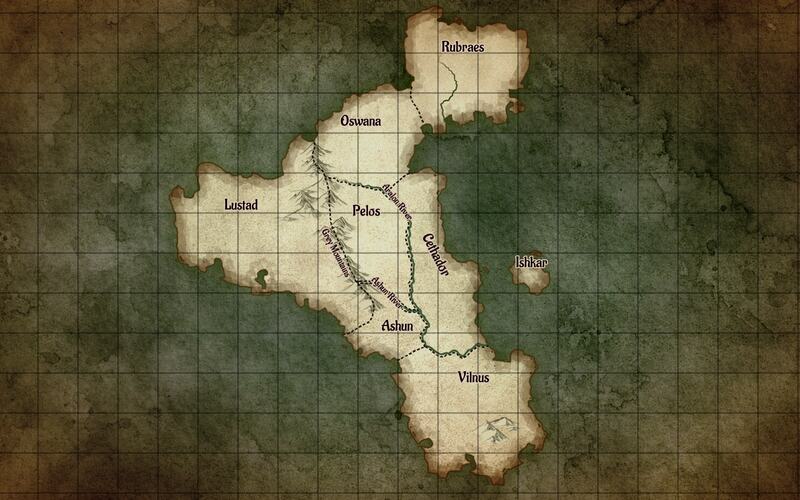 Due to its location between the powers of Lustad and Vilnus, Ashund has a very militant culture and is forced to spend much of its resources defending its borders. Vilnus: Vilnus is notable for the absolute, unchecked power of its monarch. For this reason, the royal family of Vilnus has tended towards a tyrannical and arbitrary style of ruler-ship. Ishkar: Ishkare is a theocracy with a religion based shamanistic worship of sea creatures.